Vuacheslav Voynarovskuy is one of the leading artists both with the Bolshoi Theatre and with Moscow’s Stanislavsky and Nemirovich-Danchenko Music Theatre. Besides possessing a splendid voice he has a vivid comic gift and a remarkable dramatic ability. On graduating from the State Institute of Performing Arts, where he studied under Prof. Dora Beliavskaya, Voynarovskoy was engaged at the Stanislavsky and Nemirovich-Danchenko Theatre, where he has performed many roles in opera and operetta. With this company he has toured in Italy, Belgium, Germany, Switzerland and Japan, and appeared on video as Schuisky BORIS GODUNOV. Between 1994 and 1996 he had great success in Vienna, first as Alfred DIE FLEDERMAUS at the Wiener Kammeroper and then on several return visits:CHERUBIN, BOCCACIO, EUGENE ONEGIN, TSAREVICH and I QUATTRO RUSTEGHI. He also appeared at the Mozart Summer Festival in Schönbrunn in the roles of Don Basilio LE NOZZE DI FIGARO and Monostatos DIE ZAUBERFLÖTE. He made his Wexford Festival debut in CHEREVICHKI in 1992 and returned three times in 1994 and 1995 for THE DEMON (Rubinstein), Leoncavallo LA BOHEME and MAY NIGHT (Rimsky-Korsakov). Since 1999 Voynarovsky has been a soloist with the Bolshoi Theatre, making his debut as Truffaldino in the new production of Prokofiev THE LOVE FOR THREE ORANGES. 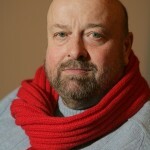 He has sung Poissonnier TILL EULENSPIEGEL with Opéra de Nantes, Monostatos DIE ZAUBERFLÖTE at the St Margareten Festival in Austria, The DistillerMAY NIGHT in Bologna, and has participated in concert performances of THE GAMBLER (Shostakovich) at the Concertgebouw and WAR AND PEACE at the Moscow Conservatory. In 2002, he appeared as Chekalinsky THE QUEEN OF SPADES in Bologna, Modena and Ferrara, and at the Bolshoi performed Pong in Francesca Zambello’s production of TURANDOT and The Auctioneer in the company’s premiere of THE RAKE’S PROGRESS. In 2003, he sang in THE BARTERED BRIDE in Bologna. In recent seasons he has sung performances of BORIS GODUNOV at the Royal Opera House Covent Garden; THE MAID OF ORLEANS in concert in Amsterdam;THE MISERLY KNIGHT and THE DUENNA with Glyndebourne Festival Opera; as well as BORIS GODUNOV with the Teatro del Maggio Musicale Fiorentino. In 2008 he performed the title role in KASHCHEY THE IMMORTAL in a concert performance at the BBC Proms under Vladimir Jurowski. This season he sang the role of Schoolmaster THE TSARINA’S SLIPPER at the Royal Opera House, and further plans include a concert performance of Shostakovitch THE GAMBLERS with the London Philharmonic Orchestra with Vladimir Jurowski.